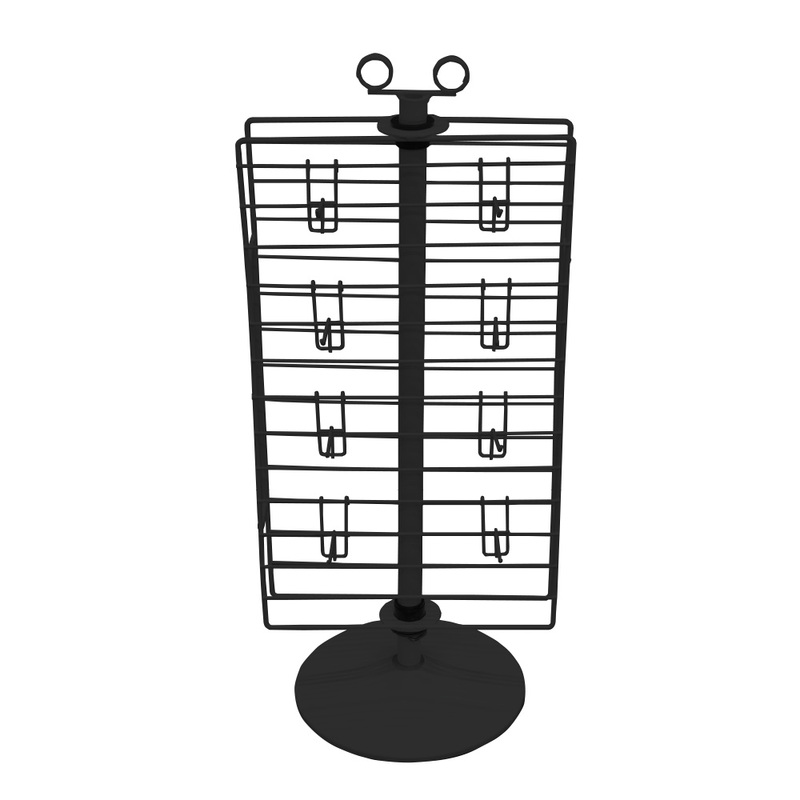 Spinning double sided counter display is great for key chains, carded jewelry, or any impulse items. The double sided displays allows for visibility from all sides. Includes sign holder.